Sony has today made a rather shocking announcement – it is to close PlayStation Now on all supported devices except the PS4 and PC after “thoughtful consideration”. 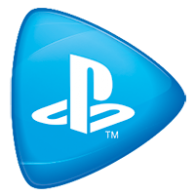 From 15th August 2017, PlayStation Now will no longer be usable on the PS3, PS Vita and PS TV, and all supported TV models. A selection of TV models will lost support at early as 15th May 2017. After thoughtful consideration, we decided to shift our focus and resources to PS4 and Windows PC to further develop and improve the user experience on these two devices. This move puts us in the best position to grow the service even further. If you use any of the affected devices, we want to give our heartfelt thanks for your support, and we hope you’ll continue with us. Remember that all of your PS Now cloud game saves can easily be accessed on both PS4 and Windows PC. If you do not wish to continue your subscription on PS4 and PC, please remember to disable auto-renewal in your account settings before 15th July so that your subscription ends before 15th August 2017 (or before 15th April if you want your subscription to end before 15th May, the date the service ceases on the initial set of select 2016 Sony Bravia TVs). For details about how to end your subscription go here.